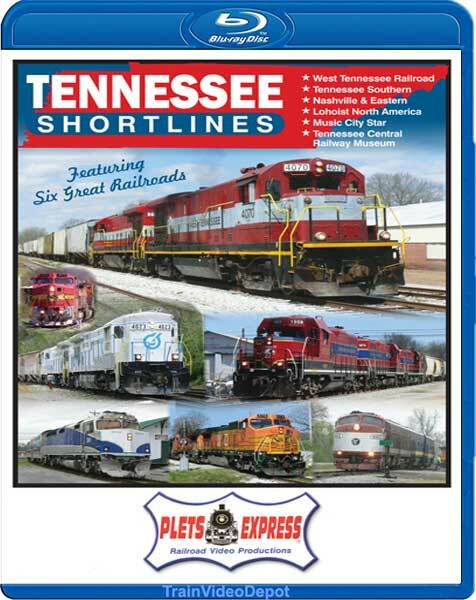 See these six great shortline railroads as they travel across the scenic volunteer state of Tennessee and past several historic depots. 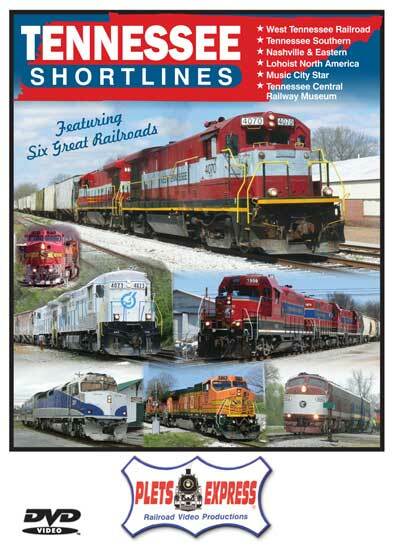 The exciting train action includes: yard switching, road freights and locals, plus the Music City Star commuter trains and a Tennessee Central Railway Museum passenger excursion that's led by a vintage E8A as these trains travel along the rails of the NERR. Some of the commodities handled by these hardworking shortlines include unit trains of sand, grain and limestone. The great vintage EMD & GE diesel power includes: F40PH, GP9, E8A, F7B, B23-7, B39-8, B20-8 and B40-8W's. Rail footage era is the spring of 2018 from the camera of Bradley A. Plets.